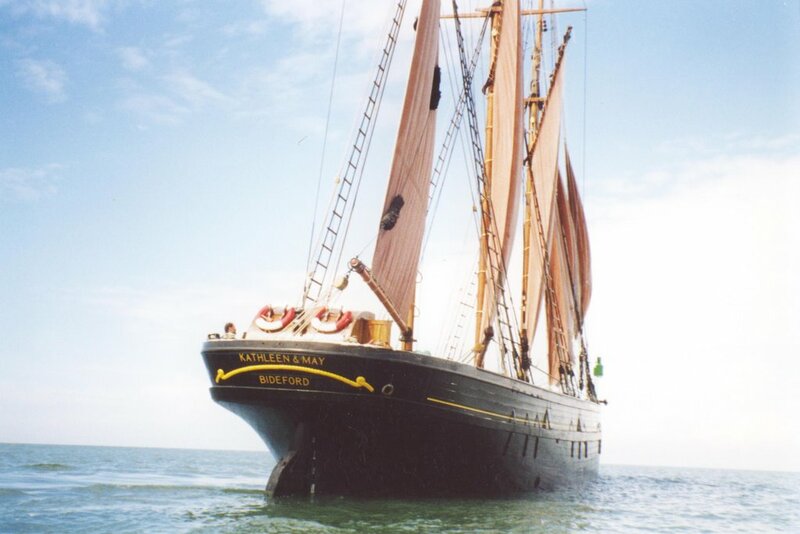 This week has seen the old girl return to Plymouth. She was met by many an old friend. 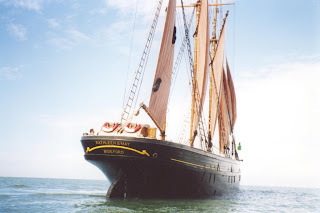 People came down to see her in Sutton Harbour with stories of how they had helped repair this, rigged that, took her out for filming in the Onedin Line; the connections kept coming. Even the next generation called in to regale us with the exploits of their fathers and grandfathers aboard her. The warm summer’s evenings were ideal to open the ship for wine tastings aboard accompanied by music from a travelling window cleaner/accordion player called Andy who sang for his supper. We had a great response to the wine tasting and managed to sell a good share of the wine we were carrying. The glorious sunshine was only matched by the warmth of the people of Plymouth; along with the great setting of Sutton Harbour made the stay even more special for the crew and the ship. After doing an afternoon sail round Plymouth Sound with a very friendly group of passengers we returned to an anchorage in Jennycliff Bay for the night. Thursday we set out for Dartmouth for a day sail with another group. By tomorrow evening we should be sitting on a buoy in Dartmouth.